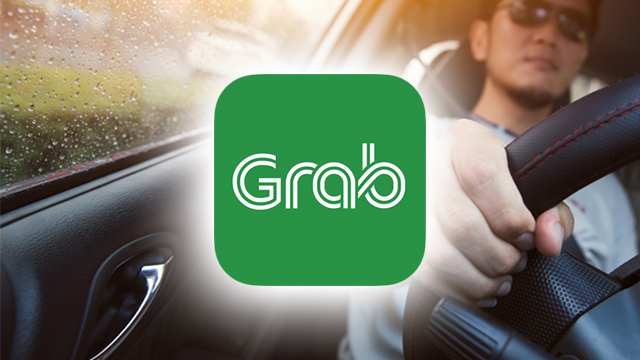 The Land Transportation Franchising and Regulatory Board (LTFRB) has lifted its suspension of Grab Philippines’ Php2 per minute charge in an order released September 5, according to an official of the regulatory body. The order, which takes effect 15 days after publication in a national newspaper, reverses its previous ruling in April that barred the transport network company (TNC) from collecting the time component of its fare matrix. “Upon review by the Board of the existing fare structure in the transport industry, there is a need to rationalize and adjust the fare structure for transport network vehicle service (TNVS) in order to maintain its viability,” Memorandum Circular (MC) 2018-019 read. Under the MC, TNVS providers, may they be driving a sedan, a six-seater car, a sport utility vehicle (SUV) or a hatchback, may charge Php2 per minute of travel time from origin to destination as part of its fare structure. However, TNCs are now obliged to show the breakdown of its fares in its electronic receipts to detail how the trip’s price was computed. Grab Philippines does not show how fares are computed in its electronic receipts, only a warning if there’s a surge in pricing when riders try to book trips. The new MC comes a day after the board reversed its July 9 order compelling Grab Philippines to reimburse the Php2 per minute it charged to riders for trips made from June 2017 to April 2018 through rebates. Grab Philippines head Brian Cu has long blamed the suspension of the time component in its fare structure as one of the primary reasons why some of its partner drivers have ceased operations. It also pinned the issue as the reason why riders have been finding it difficult to book rides in the platform due to lack of TNVS providers available. The decision was also made just in time after 200 TNVS providers went on a motorcade around the LTFRB office in Quezon City on September 2. The drivers and operators were likewise seeking the imposition of the time component in the fare structure as its suspension has greatly affected their income. In previous interviews, Cu explained that the Php2 per minute charge is crucial to Grab’s pricing scheme because they rely more on the base fare and less on surge rates. Since the time component suspension in its fare structure, only “60 percent of its partner drivers make the ideal fare of Php300 per hour.” That is in contrast to the 91 percent rate before the suspension. While the move will be welcomed by the thousands of Grab Car drivers and vehicle owners, it comes at a time when consumer price inflation has hit a nine-year high of 6.4 percent. Many Grab customers have been accustomed to artificially low ride-hailing fare as it has been more than four months since LTFRB suspended the Php2 per minute charge. Calculations made by Entrepreneur Philippines show that for a typical 12-kilometer trip lasting an hour, a trip with Grab would cost from Php160 to Php208 without a surge in pricing. With the time component added back in, that would hike to Php280 to Php328. Still, other Grab customers may also welcome the higher fare if it improves the availability of the car-hailing rides. Partly because of the suspension of the time charge, many GrabCar drivers have stopped or slowed driving for the ride-hailing service. Grab said it is able to allocate rides to less than four of every 10 bookings in July compared to more than six in March before LTFRB suspended the time charge.